The countdown is on to Christmas and I’m well and truly in shopping mode. 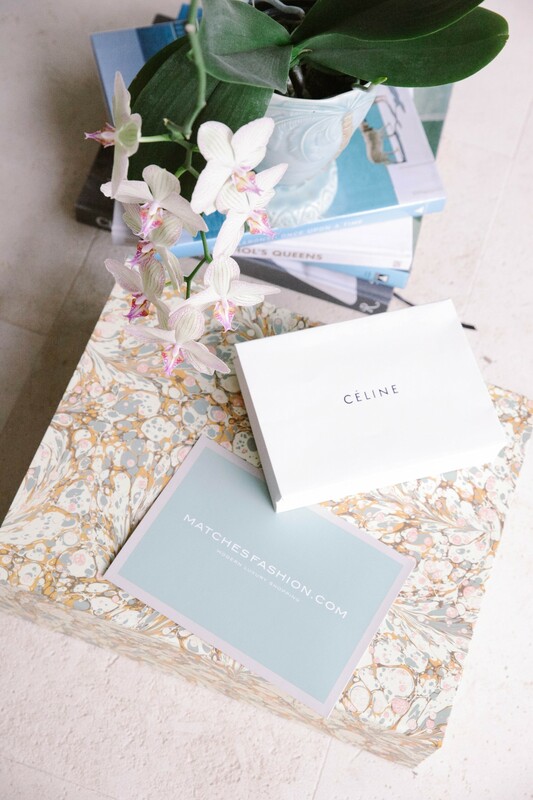 I am quite a frequent visitor to Matches Fashion throughout the year and have definitely made a purchase or two so I was excited to discover their Gift Studio. I’m all about anything that makes life easier during this busy time of year and this certainly makes gift buying a cinch! The edit on the Matches site is always top notch, and they always stock my favourite designers so I know I’m guaranteed to find something perfect, but to make it easier to locate the ideal present, the dedicated Christmas hub narrows down present ideas into different categories, price range and style so it serves up just the right list of suggestions. It really takes the stress out of shopping. Plus if you’re a little short on time to gift wrap you’ll be glad to hear that every package comes in their signature marbled packaging so you don’t have to worry about wrapping. The packaging is so beautiful so it’s guaranteed to impress and their delivery times are super quick so if you’ve left things to the last minute, don’t worry, it’s not too late! Whether it’s Aquazurra’s iconic Wild Thing sandals or Valentino’s beautiful Rockstud leather mules Matches’ shoe selection will satisfy any shoe addict. Flats don’t need to be boring these day either so I ordered a pair of Nicholas Kirkwood backless loafers. These shoes are just the right style to ensure whoever receives them will get plenty of use out of them whilst still making a head-turning statement. One huge trend at the moment is statement jewellery. The bolder the better. Whether it’s a pair of Gucci pearl-effect earrings or a gorgeous gold cuff any woman would be pleased to see something so special under the tree on Christmas morning. Gucci have really nailed it this season, especially when it comes to bags. The Dionysus embellished bag is the stuff designer dreams are made of. It’s gorgeously artistic and completely striking and is the type of wardrobe addition that will certainly impress. I’ve mentioned my love of sunglasses previously and I think they make a great gift. Whatever the style, beautiful frames are the perfect way to update an outfit and are a summer staple. Why not treat yourself to beautiful lingerie? It’s the ultimate indulgence but oh-so right when it’s as pretty as this. Whether it’s a Dolce & Gabbana iPhone case or a hot pink Givenchy card holder a mini designer hit is the kind of gift that is guaranteed to put a smile on the face of anyone receiving it.